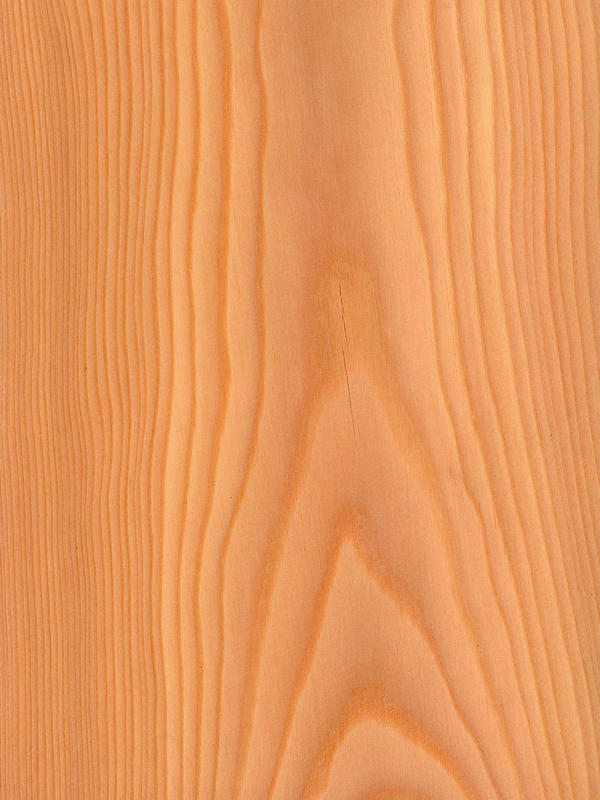 Larch Crown Cut is also known as SiberianLarch or Japanesse Larch. This tree needs severe winters to its optimun development, reason why it is common in cold mountains weather. The trees are unusual for a conifer in that they shed their leaves in Autumn. They can reach heights of up to 40 metres and live for 200 years or more. Commercially felled trees however are usually far younger. Although sometimes inclined to be knotty, the better logs when sliced will display a uniform cathedral crown with clean, straight halves. It has a very straight pattern with fine and soft grain. The warm colour combined with annual growth rings that are usually strongly defined gives the veneer a distinctive look. For a species that is associated by many people with garden sheds and other wooden outbuildings, good examples of Larch veneer are unexpectedly elegant for a softwood. Larch Crown Cut have a surprisingly fine, elegant look displaying a good cathedral crown and a warm golden colour. It is perfect for representative, modern and unique environments or spaces, that required a very different and distinguished look.